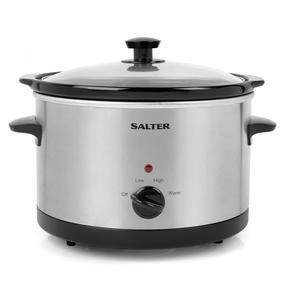 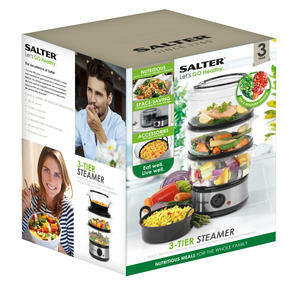 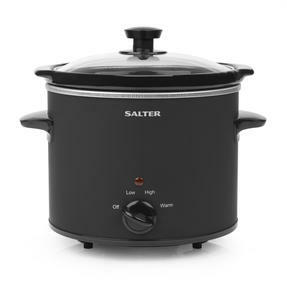 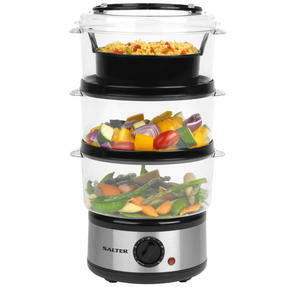 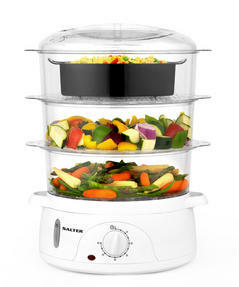 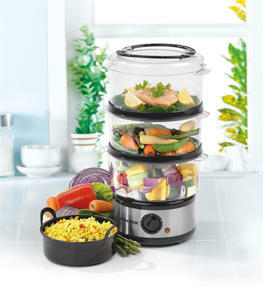 Create healthy meals from scratch for the whole family with this Salter steamer featuring three tiers so you can cook meat, vegetables and even rice all at once. 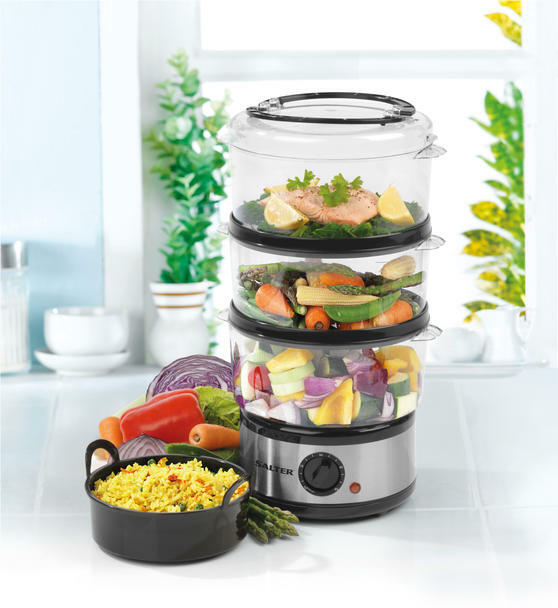 With a large water tank and 60 minute timer, it is incredibly simple to use and even has an automatic shut-off when the timer ends or the water tank is empty. 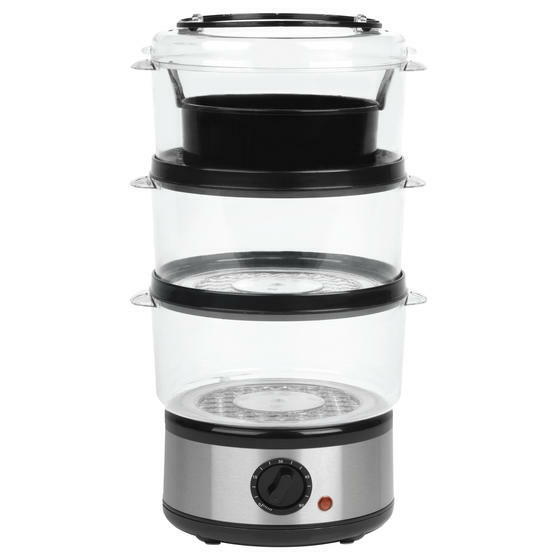 It comes with a rice bowl for perfectly fluffy rice, while each tier is removable so you can use one, two or three tiers to cook depending on how much food you are making. 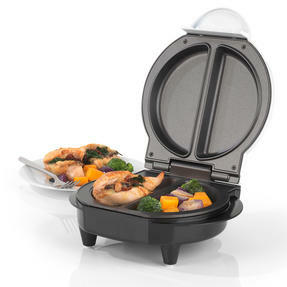 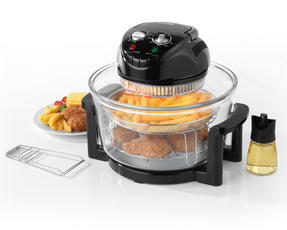 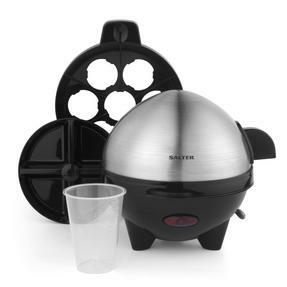 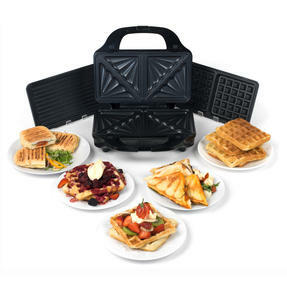 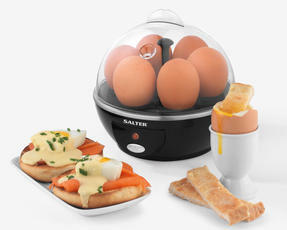 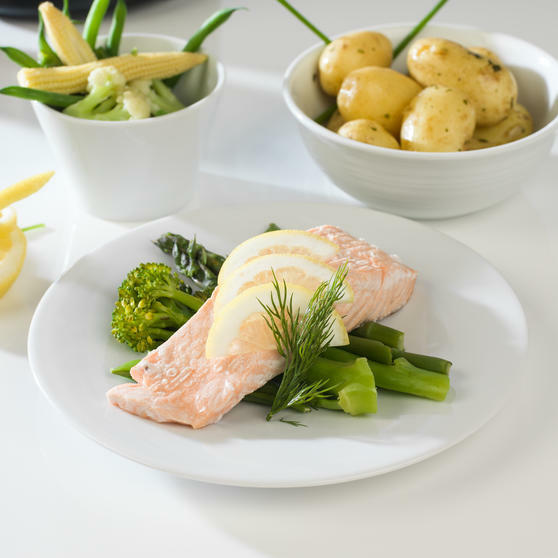 Experience the fastest and most efficient way to cook delicious, healthier meals every day with this Salter three tier food steamer. 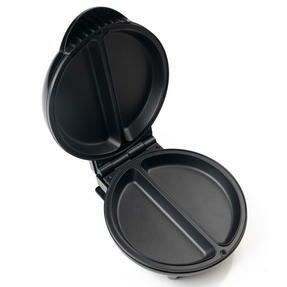 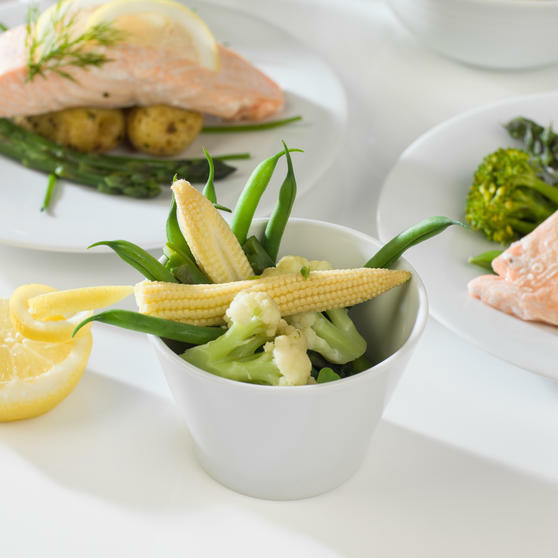 Each bowl is removable so you can cook using one, two or three tiers depending on how many people you are cooking for. 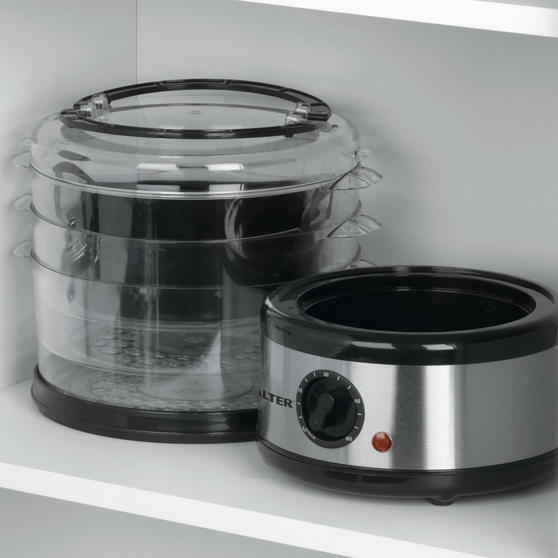 It measures 20l x 23w x 41h cm, is easy to store away and features a stylish stainless steel body which will look great in your home. 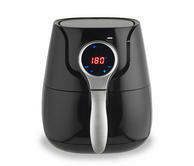 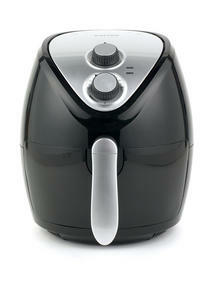 The steamer has a large water reservoir, a 60 minute timer to aid cooking and it comes with a rice bowl for steaming rice perfectly. It is ideal for cooking rice, meat and vegetables so you can make an entire meal, while the automatic shut-off makes it easy to use.